Relationships are key to any business and their success depends on how effectively they manage them help them attend their objectives. Majority of enterprises fail in unleashing the true potential of their CRM systems. If you’ve paid any attention to technology news in recent years, then you’ll be convinced that chatbots, packed with the power of artificial intelligence are changing the way we all do business! CRM systems have historically automated various sales and marketing processes and enterprises like Uber, Pizza Hut, Lyft and Wall Street Journal (WSJ) are taking their business processes one step forward by integrating and leveraging chatbots to increase sales, conversion rates and improve loyalty. I guess the question still bothers many enterprises is; how chatbots can help them manage their business better with CRM? Let’s answer this question by analyzing the CRM challenges sales teams face on day to day basis and how chatbots could possibly overcome them! Gone are the days when our sales team members would manage their customer relationships via the spreadsheets on their computers. With enterprises encouraging the BYOD practice, the sales personnel are managing their relationships and businesses on the go! However, Small screens on mobile devices are uncomfortable for entering data, searching for the specific information and generating reports. Integration of a chatbot into CRM can help to solve this challenge. With chatbots, dealing with CRM can happen like a day-to-day chat we all do! Enterprises can also opt to integrate their employee messenger with CRM and other enterprise systems such as; Email Services, Social Media, HRMS, ERP and CMS to synchronize all the common information amongst them. Now through chat (dialogue), the sales teams can create an account or a contact, convert them into opportunities, assign tasks and generate reports on the go, all with minimum fuzz! As the HubSpot suggests, more than two-third of sales people time gets consumed in tactical tasks while the time spent on the lead generation and management tasks is significantly less, this could increase the possibility of sales teams missing out on the real opportunities. On top of that it gets increasingly difficult to manage data coming from multiple sources such as emails, calls, social media, and messengers; and it is highly likely that the sales personnel could miss out on setting appointments and miss deadlines. Most importantly they might lose track on the status of the opportunities. Intuitive and integrated chatbot can help sales teams in organizing multiple tasks and planning the follow-up activities well. This way they can manage their time more effectively. Customer retention is one of the most important aspects for any company and it directly boils down to how well informed (about the clients) their sales people are! Customer information may be scattered across different sources (like client’s profile, social media, chats, emails) and there is a high probability that the sales people would not have enough time for thorough research before each meetings or calls. 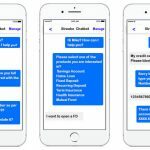 Chatbots can be integrated with enterprise emails (E.g. MS-Outlook, Lotus Notes OR Verse), social media platforms such as (Facebook Messenger, LinkedIn, Twitter etc. ), HRMS, ERPs (SAP, Peoplesoft, Oracle etc.). This could help the teams in retrieving vital information about their clients such as; their conversations and profiles on social media, transaction history, purchase patterns etc. Simply, all the information retrieved could help sales teams in managing their business and closing the deals successfully. Not only do chatbots automate the conversation of sales teams with their respective CRM systems but they also ease up the reporting and management processes on a greater scale. 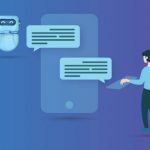 Considering all, there is no doubt that chatbots can truly help organizations get the maximum returns on their CRM investments. 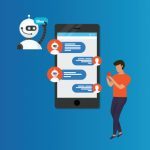 In continuation to the above blog, in the second version, we would analyze various factors involved in building chatbots and the influence of some breakthrough technologies have on these factors.